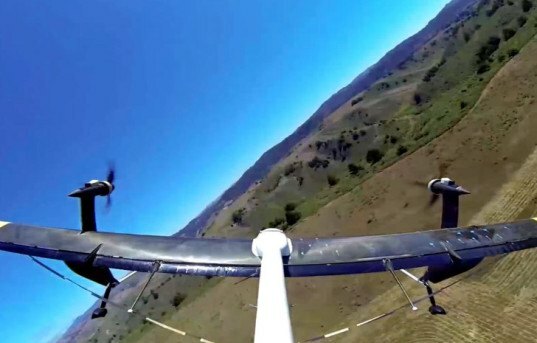 Google X has been working on airborne wind turbine technology since their purchase of start up Makani Power in 2013. To date they have only tested smaller, 28-foot, 8 propeller crafts—so the test of an 84-foot version, which may feature additional turbines and generating capacity is a major development by the Google team. And it’s a technology well worth developing—Google’s aim is to create a higher-yield, lower-cost source of wind energy production. 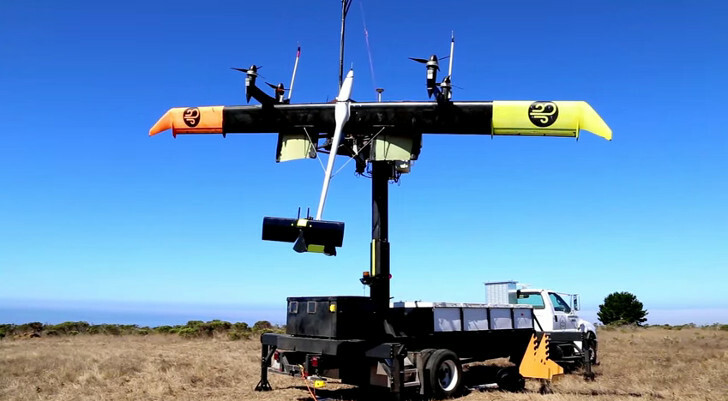 Google X will send the energy-generating aircraft up at Pigeon Point in Pescadero, CA—a particularly blustery point where they have been testing the 28-footers. According to The Verge, Teller described that at Pigeon Point: “The speed of the wind can change by 20 miles per hour in a second, and the direction of the wind can change by 90 degrees in a second.” That provides some serious potential for harnessing wind energy, as well as a serious test for the aircraft and their engineers. So far, Teller laments, they haven’t been pushing the airborne wind turbines hard enough. The Verge quotes “Larry Page said to me, ‘make sure you crash at least five of those test versions… What he meant was… if you’re not breaking your experimental equipment, at least some of the time, you could be learning faster. And I know he’s right.” So far, the Google X team has yet to crash a flying wind turbine.